Disclosure: I received free product in order to facilitate this review as part of an advertorial. I did not receive any monetary or other type of compensation. This review does contain one or more affiliate links for which I may receive compensation should you make a purchase. A full disclosure can be found at the end of this review. Looking for cookware that's completely safe? 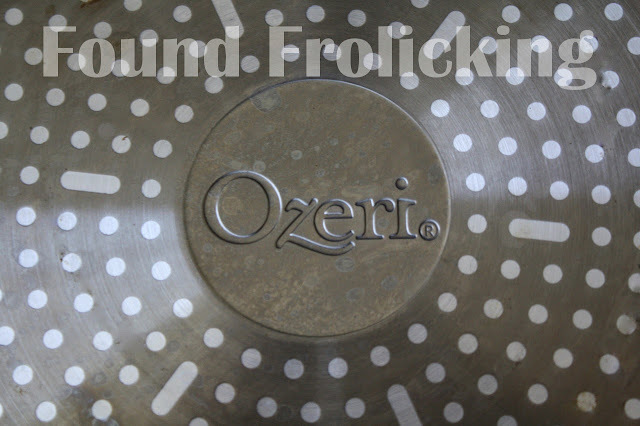 Ozeri has got you covered with their line of Green Earth pans! 100% free of PFOA and PTFE. The Ozeri 8" Green Earth pan is the perfect product to use for cooking for the family. 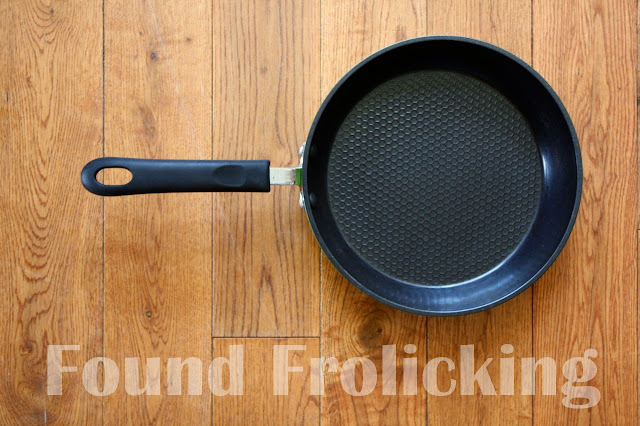 I was on the brink of entering my teen years when my mother discovered just how many chemicals lie in the non-stick coating of frying pans and other cookware sitting in our kitchen. She immediately switched over to stainless steel cookware. If you aren't familiar with stainless steel cookware... let me tell you, it's never just the thing you need. You can heat it and coat it in oil just like they recommend on the packaging... but you'll still end up with a coat of food sticking to the bottom. Chances are, this layer that's stuck to the bottom will burn before the food is actually done cooking. Not only is it frustrating, but considering that some foods are very delicate, just that short time of exposure to the burnt food can ruin the entire dish and make it taste of smoke. It's also a huge pain in the neck to clean off later. The only thing that I have found does the job is boiling water in the pan until the layer of burnt food has softened, and then scraping it off and scrubbing the pain to get any remaining small flakes off. It's way more work than cookware should be. Cooking itself has enough work involved without cleaning up the cookware afterwards being a huge production in and of itself. 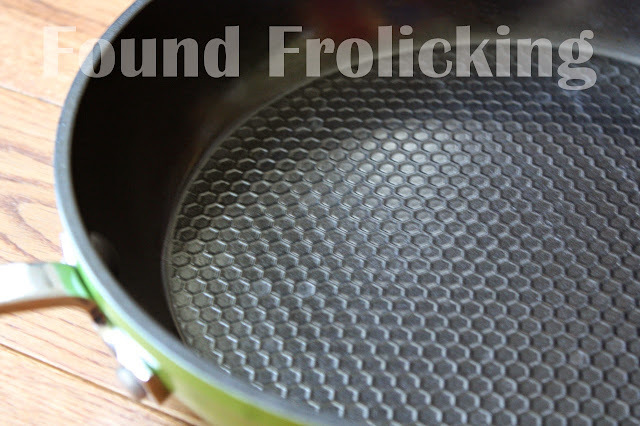 No one wants to, or should have to, deal with that much hassle in regards to their cookware. Maintenance should be minimum, while performance should be high. The 8" Ozeri Green Earth pan is exactly that! It is a great pan that is easy to use, but like any cookware that is 100% PFOA and PTFE free, there is a little care and maintenance to keep in mind. Oil is needed to keep the pan from sticking, but no more than 1/4 of a teaspoon should be used, to prevent oil from building up on the pan and preventing the coating from remaining non-stick. All you have to do is place the oil on the pan before you start using it, and be sure to clean the pan using soap and a gentle brush afterwards. The size of the 8" Ozeri Green Earth pan makes it the perfect size for sauteing meals for one, simmering sauces, or cooking up eggs or small pancakes for breakfast. It's just right for making a beautiful omelet---something my husband prepares for himself on a weekly basis. Not big enough for you? No problem! The Ozeri Green Earth cookware line is also available in a 10" pan, 12" pan, and a 12" wok. It's also available in a 3-pan set for those looking to replace all of their current cookware! To look through all the products made by Ozeri, you can find them on their website. To purchase the Ozeri Stone Earth 8" Frying Pan, you can do so here on Amazon.com! To get updates on new products, "like" Ozeri on their Facebook page, and follow their boards on Pinterest. The 8" Ozeri Green Earth pan. 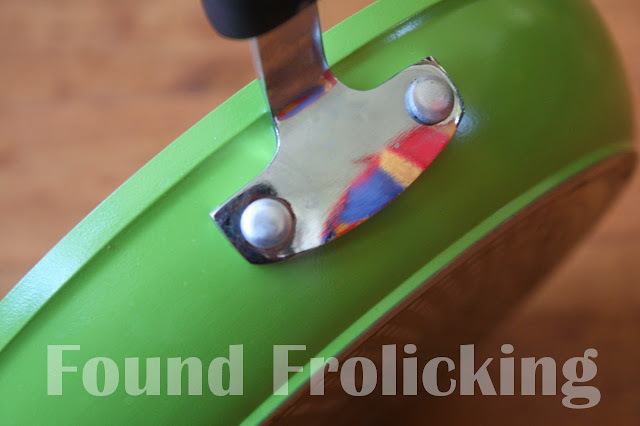 A look at the bottom of the 8" Ozeri Green Earth pan, still looking great after several uses. A close look at the beautiful color and of the handle for the 8" Ozeri Green Earth pan. Showing the unique textured cooking surface on the interior of the Ozeri Green Earth pan. 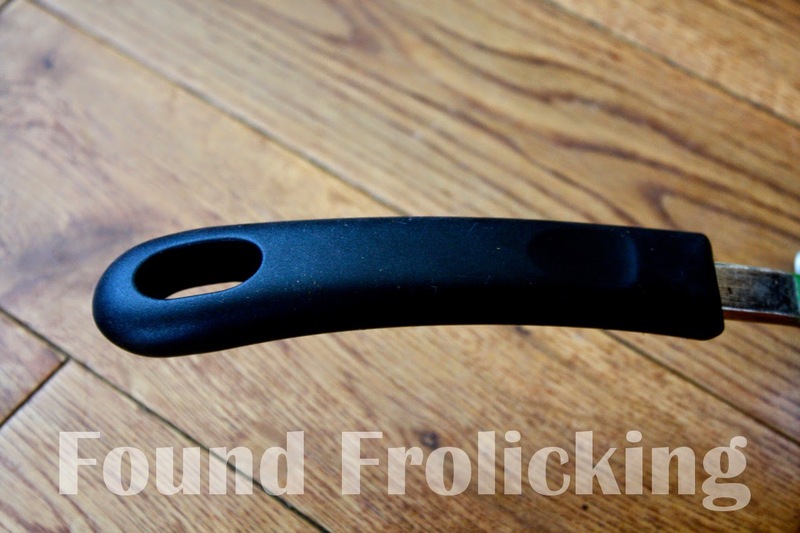 The 8" Ozeri Green Earth pan handle. Disclosure: This product was received by myself free of charge using Tomoson.com, in exchange for an honest review. I received no monetary compensation for my thoughts that are expressed above. Please note this review does contain one or more affiliate links, for which I may receive a small amount of compensation should an order be placed as a result of a purchase after following the link. All opinions expressed are my own, and were in no way influenced by the brand or any other sources. The review and all photos with the watermark are the property of Found Frolicking, and should not be used or distributed in any way without first receiving permission. If you would like to work with Found Frolicking for a review, giveaway, or any other form of advertising or exposure, please email Lalia at found.frolicking@gmail.com.